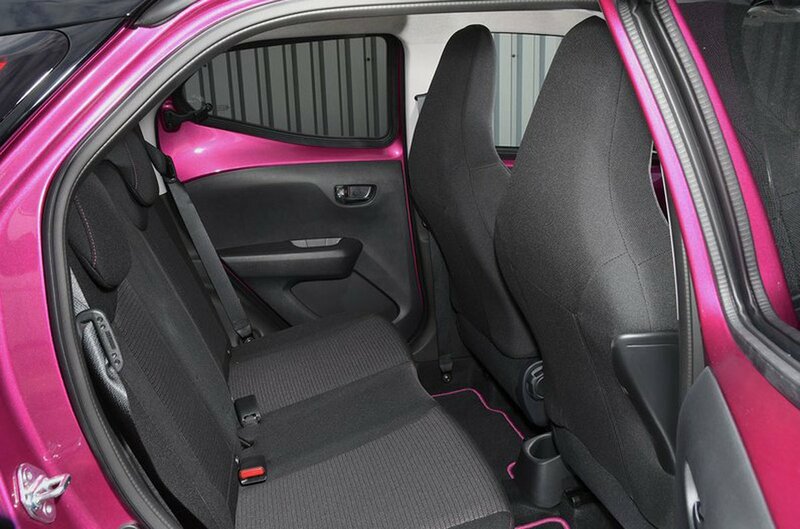 Toyota Aygo Boot Space, Size, Seats | What Car? Two adults can sit comfortably in the front of the Aygo and only the burliest of drivers will find themselves rubbing shoulders with the person next to them. There’s certainly enough leg or head room; in fact, there's about as much room as you'll find in the Volkswagen Up. There are good-sized door pockets, plus a large cubby incorporating two cupholders ahead of the gearlever. Considering how small the Aygo is, the glovebox is large and will definitely hold more than the handbook. As a general rule, the rear seats in city cars are not very comfortable for adults. 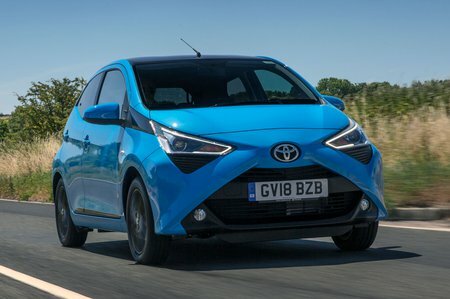 The Aygo is no different. In the three-door model, getting to them is a particular struggle, and when seated, tall people will feel hemmed in, with their knees brushing the front seats and their heads touching the ceiling. For those needing to carry four people, an Up, a Hyundai i10 or a Skoda Citigo is a much better choice. There are door pockets for the rear passengers, but you don’t even get traditional wind-down windows; you’ll have to make do with a glorified flap, even on five-door versions. The Aygo’s rear seats split 50/50 and fold down almost flat. There’s no folding front seat on the options list, though, so it’s not possible to slide long items into the car. On three-door models, the front seats slide back to their original position when you’ve tilted and pushed them forward to let passengers into the back of the car, which is always a handy touch. Seat height adjustment isn't available for the front passenger seat, but as mentioned, the driver’s seat only features height adjustment from X-Play trim and above. 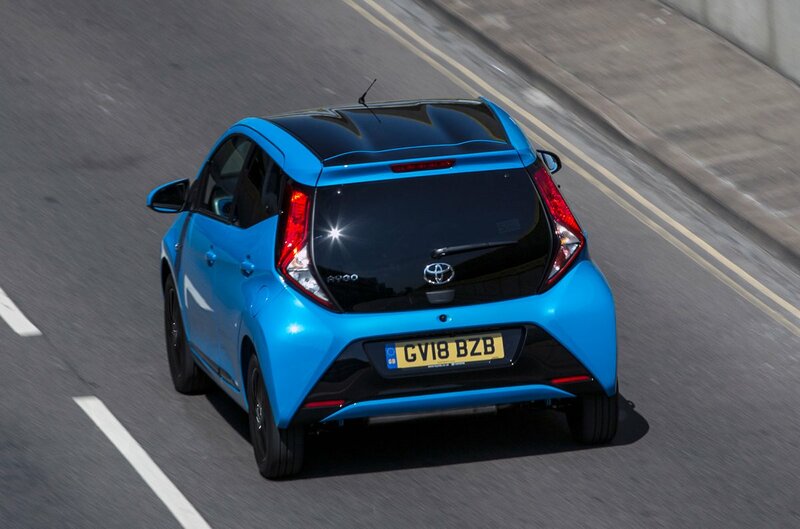 The Aygo's 168-litre boot is small, even by city car standards. You'll fit loads more in the Up or Kia Picanto. It’s made worse by the fact that there’s quite a drop from the entrance to the boot floor. Saying that, it is at least enough for a decent load of shopping or a couple of carry-on suitcases. When folded down, the rear seats create a large step in the floor of the extended load bay. This makes sliding longer items into the boot an awkward process.